Today Jeremiah talks about Live Theatre (no it's not a game) and does a Drive-By Review of Royals from Arcane Wonders! You recently posted photos of a hard copy of Fantasy Frontiers over on Kickstarter; How soon will Fantasy Frontier show up in the mail for backers, and on the shelves at our FLGS? Fantasy Frontier is on schedule for an estimated delivery to KS backers in May. It will be released to general distribution at Origins 2014 in June. Describe the feeling of actually holding, and opening a copy of your game after so much time and effort has gone into it. Is there anything you would have done differently with Fantasy Frontier? Or any lesson you learned that will be applied to the Tiny Epic Kingdoms campaign and production? Assuming you played with LEGOs as a child, do you remember the feeling of completing a large set? Setting that last brick into place… taking a step back and looking over your masterpiece? There was an intangible and magical experience that went along with that. An experience that is difficult to capture as an adult. That is how it feels to open a copy of a game you made! So far, the conception through production of Fantasy Frontier has been a dream project. The plan I set forth has been both enjoyable and successful. The only thing I would have changed, and will not likely do in the future, are the GIANT Meeples. Yes, they were their own project as well but I offered some with Fantasy Frontier too. They look great! But ultimately they are too heavy and I end up losing too much money on them. Okay, let’s talk about Tiny Epic Kingdoms! So...It’s a game about kingdoms that are both tiny AND epic… Give us, if you would, a quick overview of the game—its style and mechanics! Tiny Epic Kingdoms is the biggest game you will ever play in a small box. It is a quest and conquer game. Players will use a community action selection system to eXpand, eXplore, eXploit and eXterminate. TEK manages to deliver a rich 4x experience in a short and small package. Something that has not been done this well in the past. How did Gamelyn Games end up with this title? Scott caught wind that I was taking submissions for small games and gave me a holler. I looked it over, played it, and told him, “You let me publish this game and I will do wonders with it!” The rest is history in the making. What has been different about preparing to publish a game that you haven’t designed? Getting to know the game inside and out. Getting the game to the table enough to be accused of eating, sleeping, and breathing Tiny Epic Kingdoms. As a publisher, it’s important to have a second-nature relationship with the game you're creating. This occurs naturally as the designer but takes some special attention when not. What can you tell us about any stretch goals that you have planned for the campaign? Stretch goals of all sorts have been unlocked. This includes many material upgrades, extra factions, extra maps and even a mini-expansion is on the horizon if we can reach 200k. If all goes as planned, when will we see Tiny Epic Kingdoms hit the shelves? 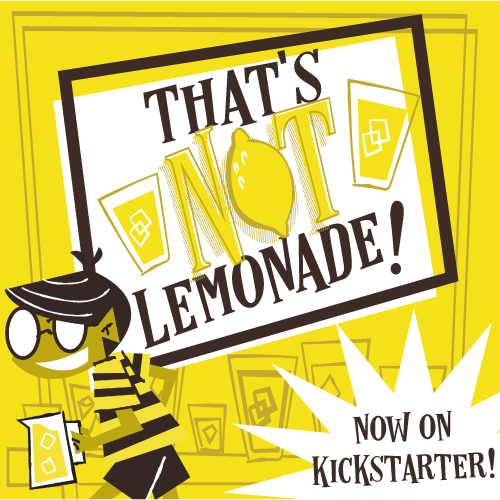 The game is scheduled for an estimated delivery to the KS backers by September 2014. I would like to release into general distribution at this year’s BGG.CON in November. Okay...time for a TINY and EPIC Lightning Round! The theme to 2001: A Space Odyssey or Flight of the Valkyries? Billy Barty or Kenny Baker? ooO both legendary and both in movies I love. I’m going Billy Barty on this one! Great Wall of China or the Grand Canyon? Not fair; I live near the Grand Canyon so I may suffer from a case of “the grass is always greener”... nah, I don’t! Grand Canyon! Thanks so much, Michael, for joining us today. And head on over to the Kickstarter campaign and get your very own copy of Tiny Epic Kingdoms. They're CRUSHING it, and have already knocked off 17 stretch goals.